We’ve found great deals at 62 hotels! Avillion Port Dickson is an award-winning beach resort in Malaysia. The resort was designed based on the concept of an old fishing village, creating a spectacular property that blends traditional culture with modern luxuries. Just 46 km from Kuala Lumpur International Airport, the resort offers an escape from the hustle and bustle of the city in a location that’s still convenient. Guests can reach Saujana Beach in about 10 minutes by foot from the resort. Guests can select from a variety of room types including chalets, villas, and duplexes. Rooms are fitted with wooden flooring as well as Avillion’s signature Pangkin daybeds, assuring pure relaxation. Select villas include stunning views of the sea, as well as private balconies and a Jacuzzi. Six in-house dining options are available, each offering unique options sure to suit the palates of all guests. At Crow’s Nest, guests can admire the surrounding area from a bird’s eye view. The restaurant serves a blend of Asian and Continental cuisines and has both indoor and outdoor seating. The casual setting of Village Court offers guests with a place to wind down after a busy day of sightseeing. An open restaurant situated next to the pool, guests can enjoy entrees in both Malaysian and international styles. A wide variety of activities are available at the hotel, including beach volleyball and water sports such as kayaking and windsurfing. Port Dickson experiences a warm climate all year round, so it’s never the wrong time to go for a swim in the pool or head to the beach. Guests can also get pampered at aVi Spa. Avillion Port Dickson is the perfect place for an all-around resort experience. Lexis Hibiscus Port Dickson centrally located at Port Dickson area. Hotel offers strategic location and easy access to the lively city has to offer. Hotel requires 1 hour and 4 minute drive away from Kuala Lumpur International Airport and only 37-minute drive away from Seremban Sentral Railway Station. Hotel offers wide range of services and facilities to ensure guest have a pleasant stay. Services and facilities are includes taxi booking, car rental service, wedding service, meeting facilities and et cetera. With its strategic location and convenient accessibility, it made hotel one of the ideal places of stay for both business and leisure travelers in Port Dickson area. Overlooking the Straits of Melaka and its own 9-hole golf course, Thistle Port Dickson offers spacious rooms with a private balcony. It houses an infinity pool and 5 dining options. Guests are also provided with complimentary use of tennis court and computer games on site. Offering stylish accommodation, Thistle Port Dickson Resort is 2.5 km from Blue Lagoon and about 10.5 km from the Army Museum. Fitted with tiled flooring, air-conditioned rooms offer a flat-screen TV and internet access. Private bathrooms come with a hairdryer. Room service is also provided. Guests of Thistle Port Dickson can exercise at the fitness centre or enjoy a variety of massages available at the spa. A S.W.A.T Team Building Camp with experienced trainers is available. Chinoise serves modern Chinese dishes, while Fresh offers a buffet spread of Asian and local favourites. Glass features a choice of indoor or outdoor dining of Italian favourites. Live music entertainment is available at Cumulus and Steps, which also serve snacks and drinks. 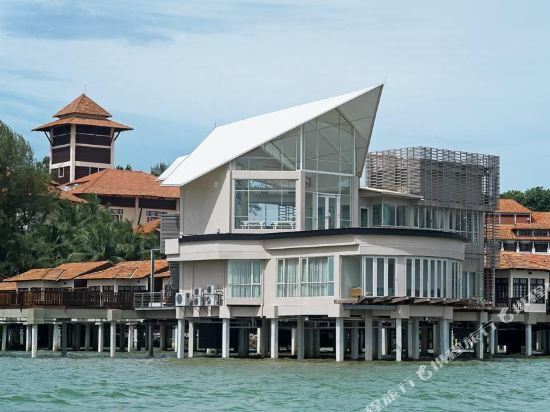 Modern accommodation can be found at Negeri Sembilan’s Avillion Admiral Cove, a relaxing resort by the waters of Port Dickson. Overlooking the Straits of Melacca, it has free Wi-Fi and parking. 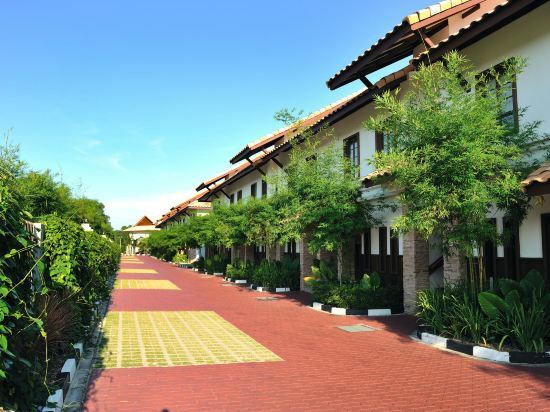 Admiral Avillion Cove is an hour’s drive from Kuala Lumpur International Airport. Driving to Port Dickson from Kuala Lumpur City will take about the same duration. 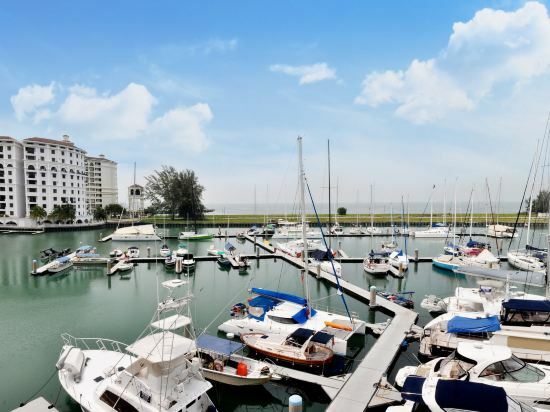 The spacious rooms at Avillion Admiral Cove are spread out over 2 wings and enjoy breathtaking views of the marina. Decorated with modern Malaysian furnishings, rooms all come with a flat-screen TV, sofa day bed and air conditioning.Guests may take a dip in the outdoor swimming pool or enjoy a leisurely sunset boat ride. For a refreshing workout, the hotel also provides a fitness centre and tennis courts.Trader’s Food Shop serves a variety of tasty local and international dishes. Sailor’s Drink Shop offers refreshing cocktails and beautiful sea views. Glory Beach Resort Port Dickson centrally located at Port Dickson. Resort offers comfortable environment and strategic location. Resort require only 50-minute drive away from Kuala Lumpur International Airport. Glory Beach Resort Port Dickson offers comfortable and relaxing facilities to ensure guest have a pleasant stay. Resort services and facilities are includes taxi booking services, 24-hour reception service, business center, meeting facilities and et cetera. 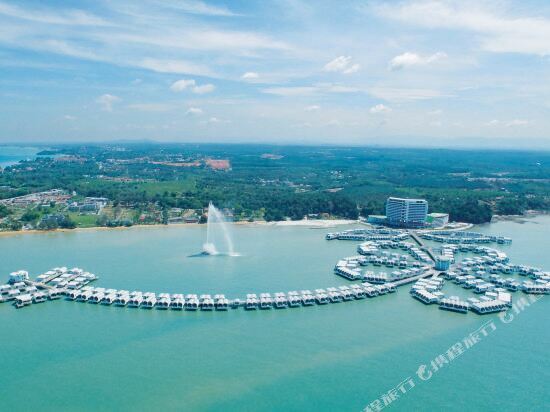 Glory Beach Resort Port Dickson is an ideal place of stay for both business and leisure travelers. Grand Lexis is acc Grand Lexis Port Dickson is a resort styled sanctuary offering unparalled superior surroundings with private individual’s pools amidst landscaped gardens in every room. It boasts exclusivity and mystical charms within its ecological surroundings. 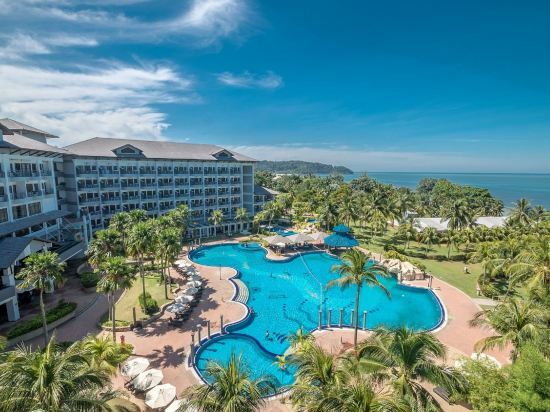 This luxurious 5-Star resort in Port Dickson features an exceptional collection of well-appointed Balinese-inspired villas linked by spacious boardwalks that command a majestic view of the open sea. Grand Lexis offers luxurious accommodation with 317 spacious villas that are equipped with modern amenities such as air-conditioner, flat screen TV, in room safe and telephone. Each villa has a private pool. Grand Lexis Port Dickson offers dining options which serve delicious local and international cuisine at its Duyung Restaurant and Genn Japanese Restaurant. For those who prefer an informal place to meet, there is the Lanun Bar or Pool Cafe, which serve a variety of drinks and hot beverages.Mixing business with leisure, Grand Lexis provides facilities for convention and meetings where the Ballroom and Function Rooms can cater up to 450 guests and is suitable for events, conventions, seminars, wedding functions and meetings in Port Dickson. The standard check in time is 4 PM local time. Port Dickson is the closest beach resort to Kuala Lumpur. During the weekends, it accommodates visitors from nearby cities, making them mooring in the harbor like sailing ships. In the southern part of Port Dickson, there are 16 kilometers of sandy beaches and blue waters, attracting countless tourists from near and far. At the end of the beach, the cliffs of La Chau Duo are more than 100 meters above sea level. The stone crags below Cuihu Village burst into the sea and the coral reefs can be seen on the seabed. A short distance away from the village, visitors can climb up 63 steps to reach the top of a lighthouse built by the Portuguese in the 16th century. The lighthouse is equipped with a telescope for overlooking Luba Island of Sumatra. There is also a rock in the nearby cave which is said to be imprinted with the footprint of the Malay national hero, Handu. Every Friday, people come to the cave to offer sacrifices. Hotels in Port Dickson, along with clubs and golf courses can be found along the beach. The most popular beach in Port Dickson is Blue Lagoon, which is known for its white sandy beaches and blue waters. If you’re interested in water sports, Taman Aman is not to be missed either. Apart from providing cheap accommodations, there is also a camping and a barbecue area where visitors can have cookouts after enjoying the water. Port Dickson Beach is 32 kilometers away from Seremban and faces the Strait of Malacca. It is one of Malaysia's most popular seaside resorts and home to 18 kilometers of golden beaches and many hotels and hostels. Due to its close proximity to cities like Kuala Lumpur and Singapore, it’s a convenient place for city dwellers to relax and have fun. In addition, the beach is also the best choice for various kinds of water sports, such as sailing, canoeing, surfing, water skiing, and beach volleyball, beach football, and so on. The most popular season in Port Dickson is August of each year, when the grand Port Dickson Carnival is held. During this annual festival, water sport performances, competitions, cultural performances are often held and attract many visitors. The entire beach area and the town are filled with restaurants and snack stalls. In terms of food, Port Dickson is best known for its seafood dishes cooked in Malay, Chinese, and Western styles. In addition to seafood, there are a variety of delicious snacks. 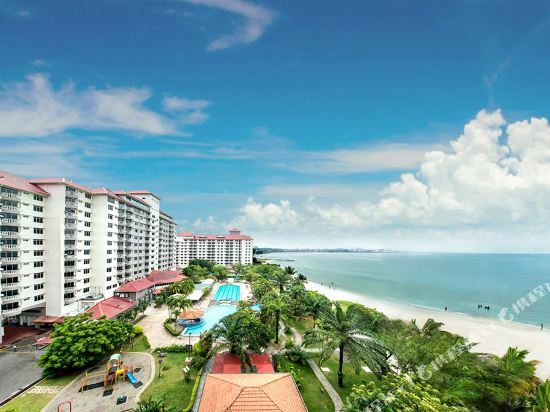 Port Dickson hotel information & deal: Check out room rates, photos, a map and reviews of hotels in Port Dickson and find the best deals on Port Dickson hotels. Trip.com offers big savings on online reservations for Port Dickson accommodation. Book Port Dickson vacation packages and Port Dickson tours with huge discounts on Trip.com!